So many different directions…Which ones will we choose? and what is our individual life’s role?? 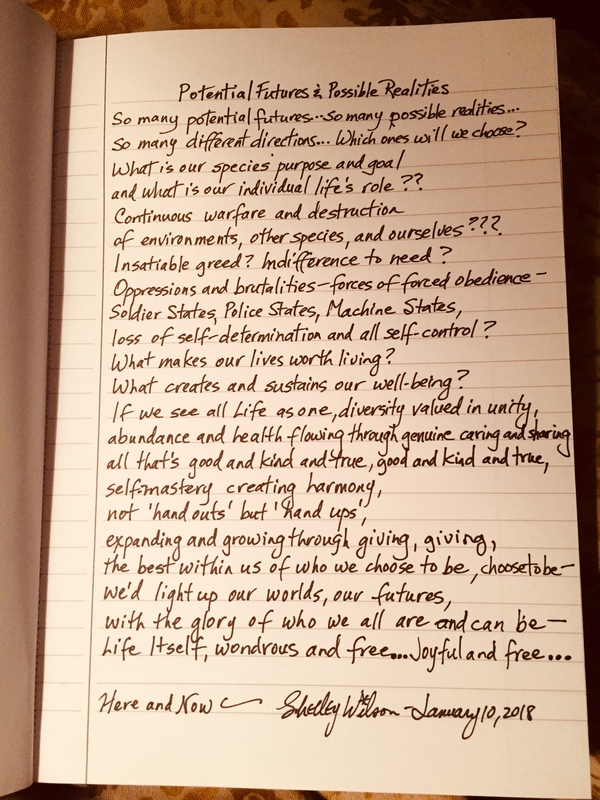 of environments, other species, and ourselves??? Insatiable greed? Indifference to need? loss of self-determination and all self-control? What makes our lives worth living? What creates and sustains our well-being?